This measures the effectiveness of a password in resisting guessing and brute-force attacks. In its usual form, it estimates how many trials an attacker who does not have direct access to the password would need, on average, to guess it correctly. 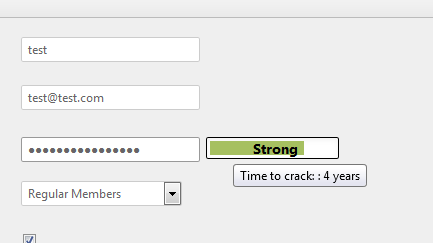 The strength of a password is a function of length, complexity, and unpredictability.